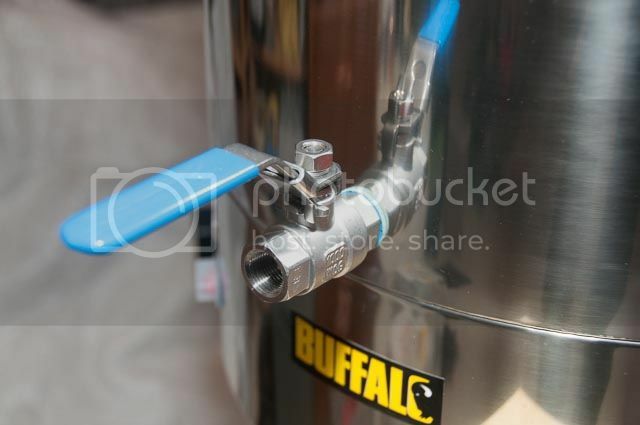 EDIT: The new version of the Buffalo boiler has changed and the hole is no longer round so this how-to may only be of use if you have an older version of the boiler. 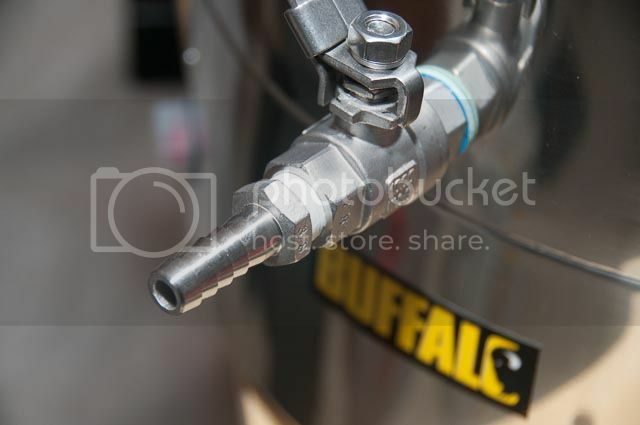 This How To shows how to fit a ball valve and a hop stopper to a 40L Buffalo boiler. It doesn't require any cutting or drilling. And it's all shiny! PTFE tape - I already had this but you can get it from many DIY shops such as Wilko or BES. I also got my 3/8" silicone tubing from here (part 400001). 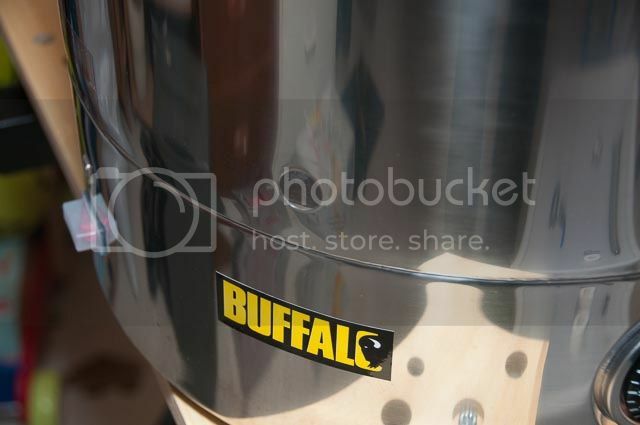 And, of course, you will need a 40L manual fill Buffalo boiler. I got mine quite cheaply from the Nisbets clearance store on eBay. 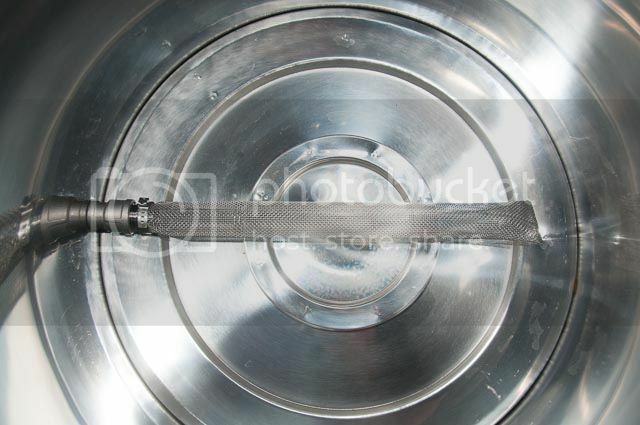 Firstly, you need to remove the original tap from the boiler. It's only hand tight so it comes off without any tools. It's a bit fiddly to do this as you can't freely turn the hop stopper. However, it isn't too hard to do so persevere. Get it as tight as you can but with the handle at the top. Again, it only needs to be hand tight for a good seal. 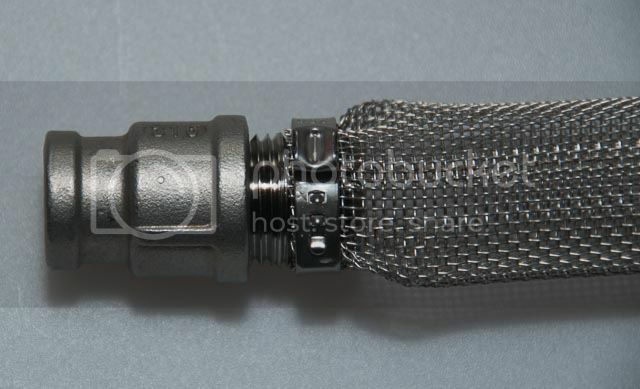 The silicone hose easily pushes onto the barb and seals perfectly. I suggest you make sure everything is tight before you use the boiler each time. I have done this with the 40L Buffalo boiler but it looks like it should also work with the 30L Buffalo as it is the same diameter. Last edited by rpt on Thu Apr 09, 2015 13:00, edited 1 time in total. Cheers for that! planning on doing this over the next few weeks. Total cost (ex del and hose) is only £20.54 from the suppliers mentioned so a definite worthwhile upgrade! 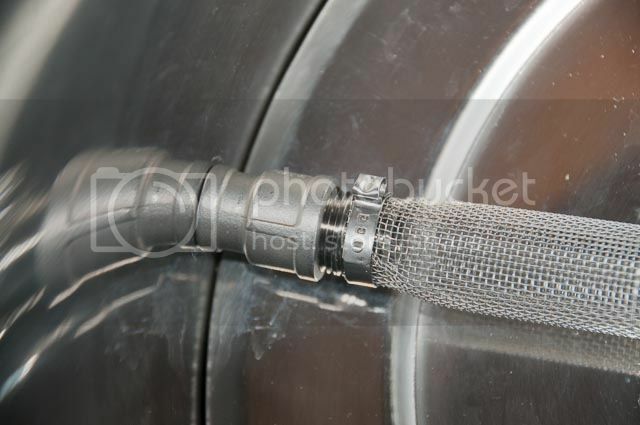 Been wondering how to attach a mesh screen to the nozzle. Wish I'd thought of using a SS jubilee clip. Last edited by duncs on Tue Apr 15, 2014 08:12, edited 1 time in total. Nice guide, a really good simple way of modifying the boiler. I did mine a little differently, involves the use of a qmax, but if you're one for making a custom hop stopper this way works. Guide to this alternative conversion and parts here. And here's the hop stopper attached. Leaves almost no dead space. Less than 2 litres with 200g of leaf hops in a brew! If you want a tap and the other gubbins then I've got spares you're welcome to Duncs. Require a Regulator? Searching for a Sankey? Looking for cellar and dispensing equipment? Send me a PM! Conditioning - BIAB#17 60th Rifles IPA; Meads - Raspberry Melomel yeast test, Vanilla Cinnamon Metheglyn, Leatherwood Traditional, Orange Melomel. Drinking - BIAB#15 Spitfire (Brewlab SN yeast), BIAB#16 Cascade/Ahtanum APA; Traditional Mead, Cyser, Ginger Metheglyn. Nice guide! Co-incidence I was just last night posting about doing exactly this to my burco! 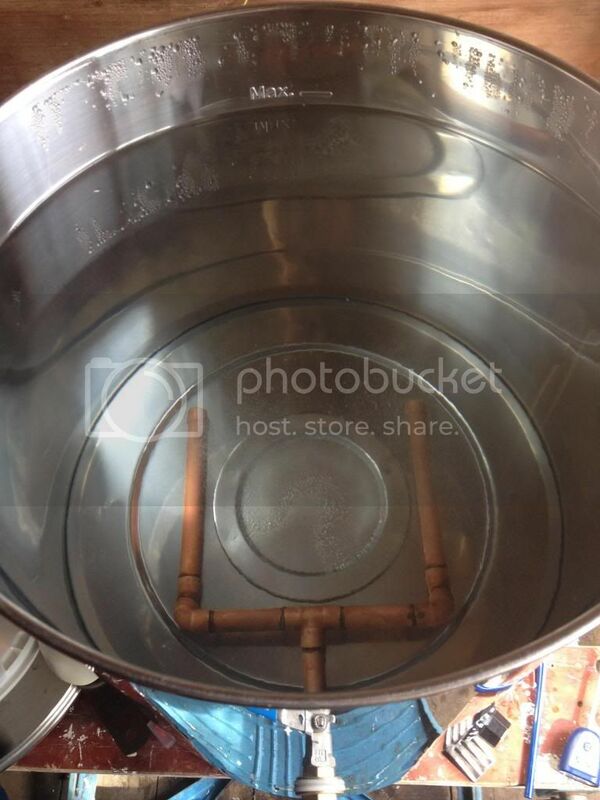 This is the guide I used to modify mine (from old forum) and it's great - no leaks at all and really helps to get the wort out of the boiler. 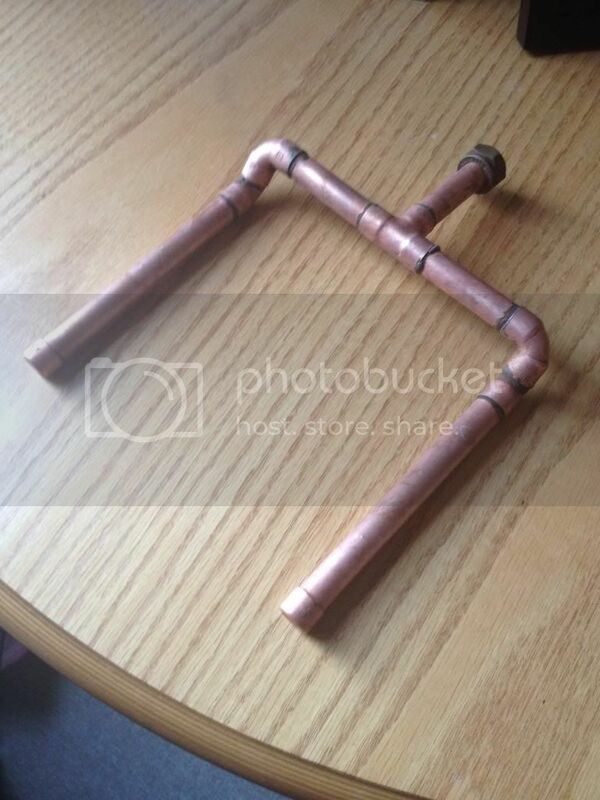 im my attempts to minimise my dead space (and with no plumbing experience) does anyone know how i could incorporate two copper 45 degree bends into this design? I think you might struggle to reduce the dead space with this design as the hop stopper is pretty much touching the bottom of the boiler. If there was a way to do I would use stainless steel bends from the same place as the other bits. Let us know how you get on. rpt wrote: I think you might struggle to reduce the dead space with this design as the hop stopper is pretty much touching the bottom of the boiler. If there was a way to do I would use stainless steel bends from the same place as the other bits. Let us know how you get on. I'm going to order the standard parts and go from there. ive not looked into it that much but my boiler has a fair whack of dead space and the element is in the middle so I either have the issue of the hop stopper being quite high above the element and leaving a lot of wort, or the hop stopper wont fit because of the element being in the way. Hopefully i can configure the hop stopper to go a bit lower and bend slightly to the left but ill have to have a play when the parts arrive. There is a shorter version of the bazooka screen so maybe that would help you. Is your boiler not a Buffalo? rpt wrote: There is a shorter version of the bazooka screen so maybe that would help you. Is your boiler not a Buffalo? I'll send a pic of the one I made for my Buffalo boiler this evening. 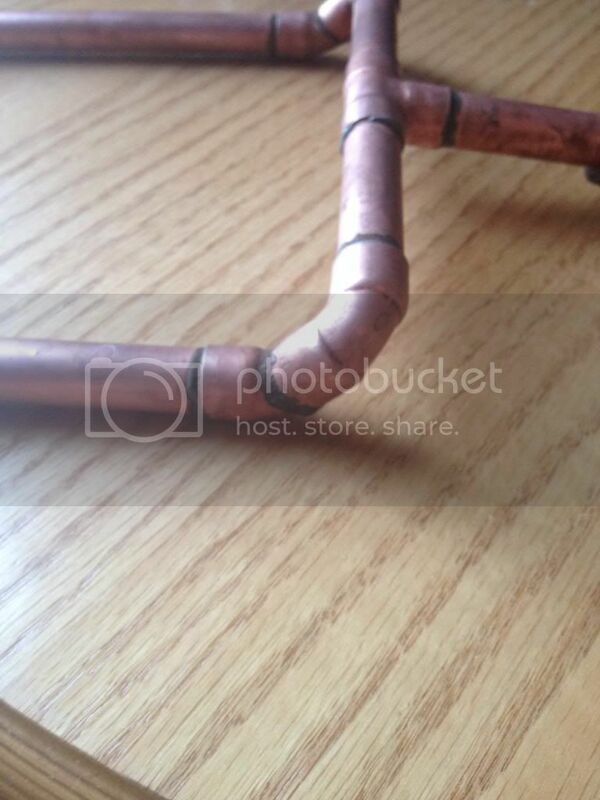 Gives nearly zero dead space, made out of copper pipe. It's served me well, and hopefully will serve its new owner Gethin79 similarly! Last edited by Cpt.Frederickson on Fri May 16, 2014 08:22, edited 1 time in total. cheers, ive ordered a hop screen anyway from the homebrew company. yet to decide if ill use it yet but plan on having a play around with the boiler next week. When I'm draining my Buffalo boiler I tilt it towards the end and don't leave a huge amount behind. The only problem I've had was using pellet hops - they blocked the bazooka screen and I couldn't get the last few litres out. I've never had a problem with whole hops. As mentioned previously, here's the design of hop stopper I used in my Buffalo. It was a home made jobby (first time I've ever brazed copper) and attaches using a compression fitting so would need slightly different parts. I think I gave a link earlier to an alternative way of fitting a ball valve and this hop stopper uses that guide. This is where I brazed a 90 degree and 45 degree elbow together to get the appropriate bend and dip needed. The fit leaves it flush to the bottom of the boiler. Underside of the hop stopper. This works really well I've found, very little deadspace. I'm talking under two litres of wort when using 200g of hops! And that was just absorption into the hops. One of the best bits of kit I've made. Can't use it with Pellets mind, but I've never tried. Screen filters are better for those I understand. Anyways, hope that is useful to someone. Bought a hop stopper from the home brew shop but looking at where it will be in situ Its not going to be suitable so Im going to go down the copper route. To start with I plan on just crimping the pieces as I do not have the equipment or experience to solder. Drilling it may also be an issue as I dont have a vice but thats easy enough to overcome. 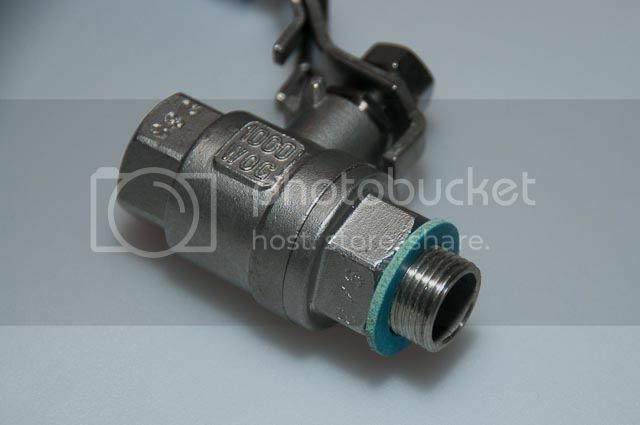 the main issue I do have is how to attach the copper to the valve and create the seal what parts do I need, and how do I do it? Compression fittings. Check the link earlier to a thread on Jim's and it'll tell you all you need to know. cheers. had a quick look. so it appears to do that method I will have to drill out the hole a tad so ill keep an eye out for a qmax cutter. The links in that post are a bit out dated - are all the parts available from screwfix? Think I've got a spare set of all the stuff required and the qmax if you want? BTW, it's the stuff for his second attempt that is best/easiest. I've done this on three different boilers very successfully. Cpt.Frederickson wrote: I'll send a pic of the one I made for my Buffalo boiler this evening. 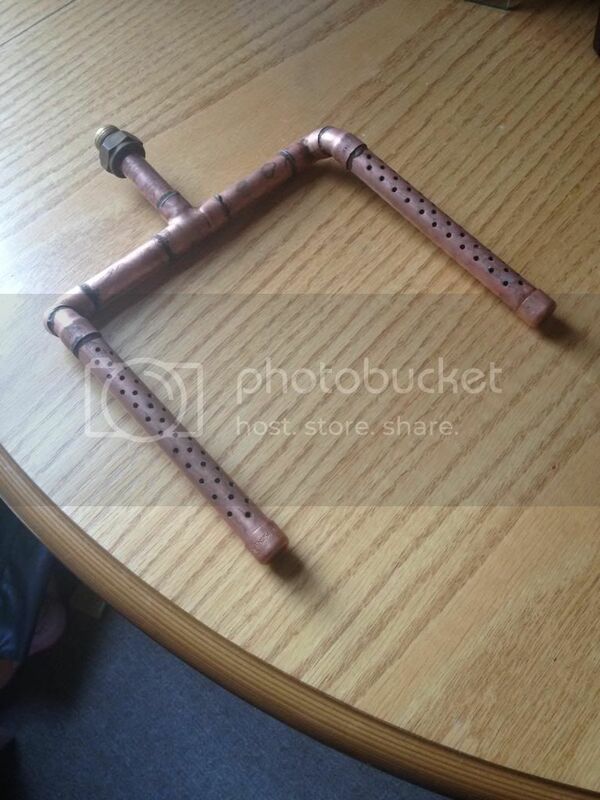 Gives nearly zero dead space, made out of copper pipe. It's served me well, and hopefully will serve its new owner Gethin79 similarly! Yes! Many thanks. It arrived while I was at the festival. Looks a great bit of kit! ...and soon will get plenty of use! Excellent article, thanks very much. Really handy having the part numbers - quick delivery from BES (and The Home Brew Shop). Had a problem getting the washer to seal properly, so adapted a tap washer and fitted between the kevlar washer and the boiler. Ordered my Buffalo 40l from Nesbits, via there e-bay clearance shop - very quick delivery. You can imagine my disappointment when I'd done the tap conversion and fired the boiler up - no power light. After much changing of fuses, and still no luck, screwdriver time. One of the wires in the base had pulled out of its crimp connector. All sorted, and very happy.